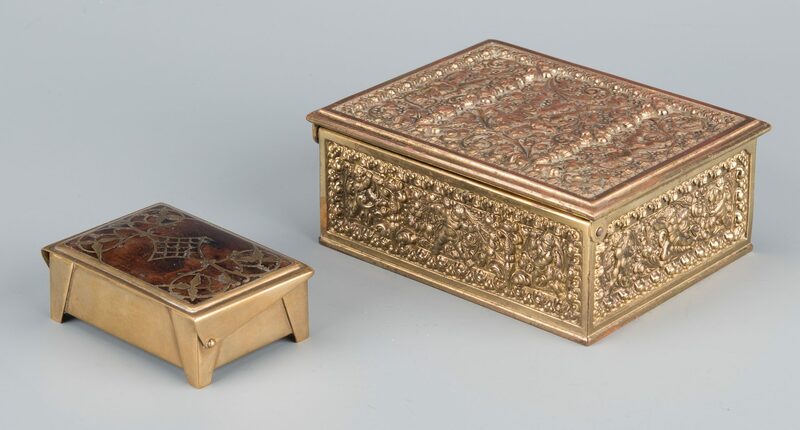 2 Erhard and Sohne boxes and a Tiffany bronze medallion. 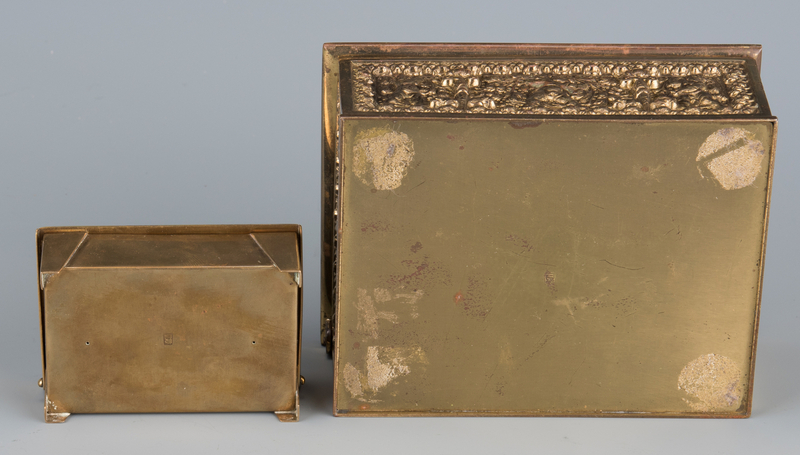 1st item: Erhard & Sohne Jugenstil bronze stamp box, with hinged rosewood lid having elaborate bronze inlay and sides; company mark stamped on bottom. 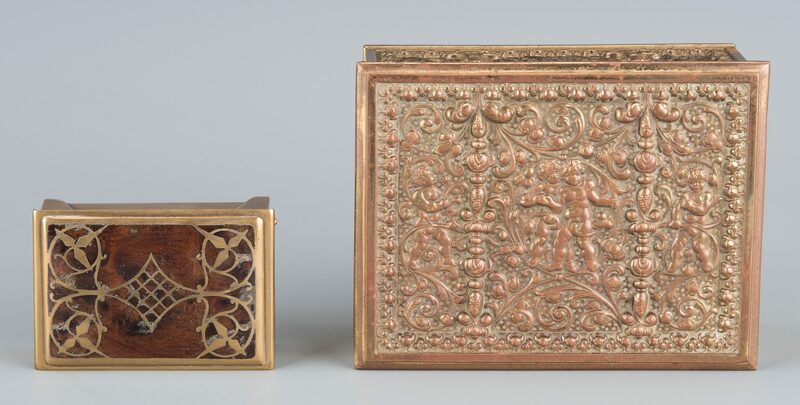 1" H x 3" W x 2" D. 2nd item: Erhard & Sohne gilt bronze jewelry box with elaborate repousse cherub decoration, 2" H x 5" W x 4" D. Company mark stamped on bottom. 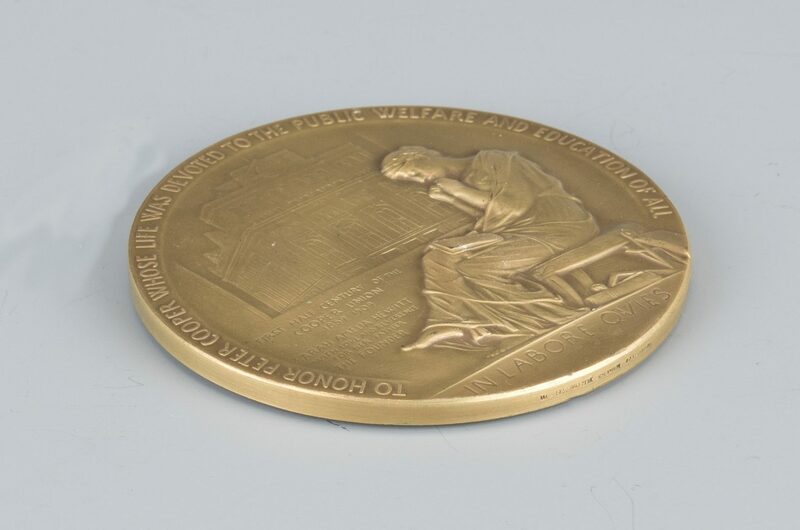 Additional stamp to side of lid: "Made in Germany." 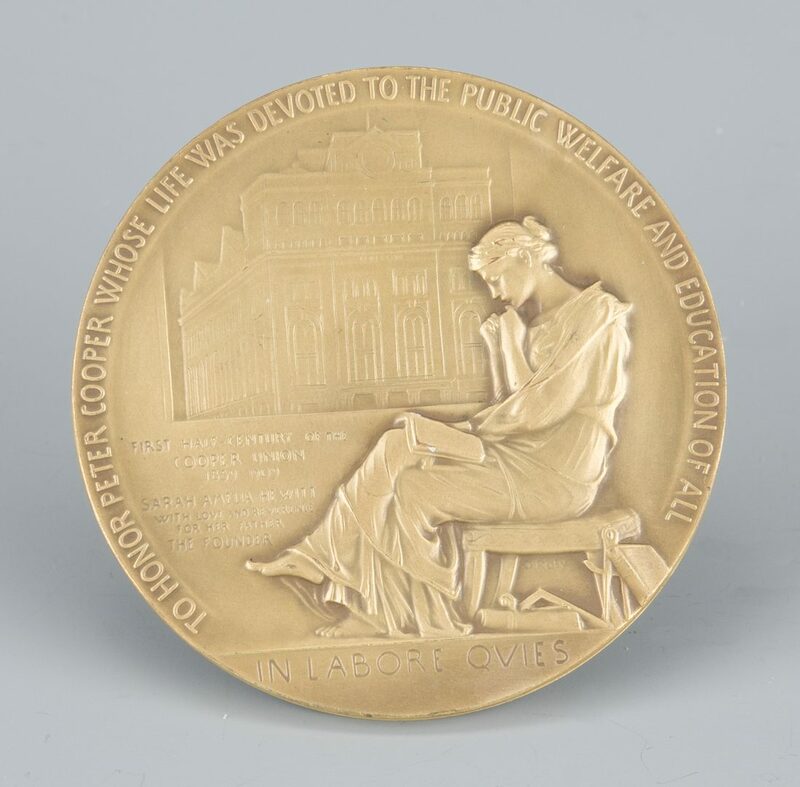 3rd item: Tiffany bronze medallion, commemorating Peter Cooper (1791-1883), "whose life was devoted to the public welfare and education of all." 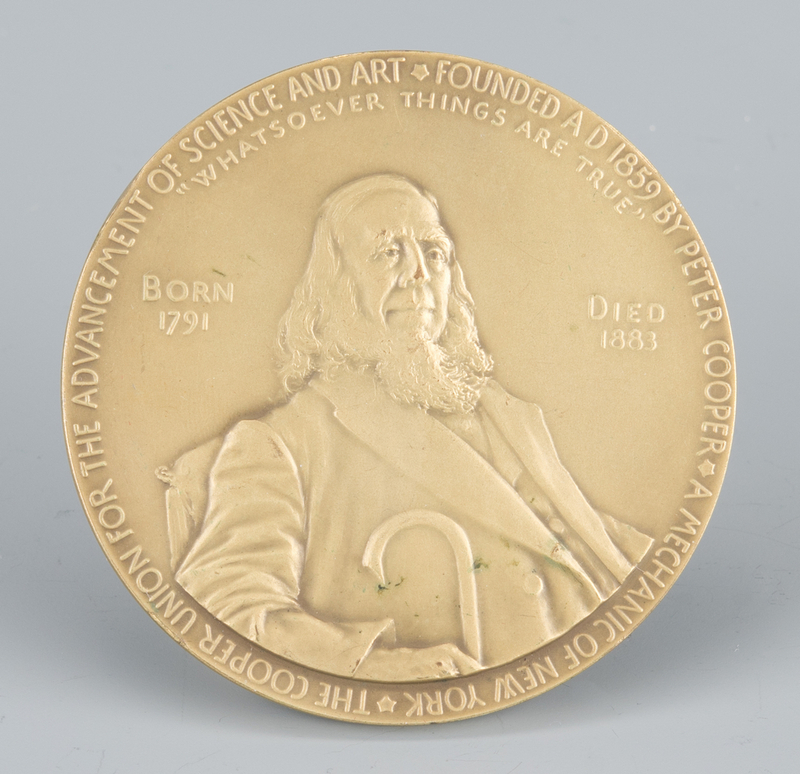 Reverse inscribed: "The Cooper Union for the Advancement of Science and Art Founded 1859 by Peter Cooper A Mechanic of New York / Whatsoever Things Are True ." 2 3/4" diameter. CONDITION: 1st item: some small dry areas to wood. 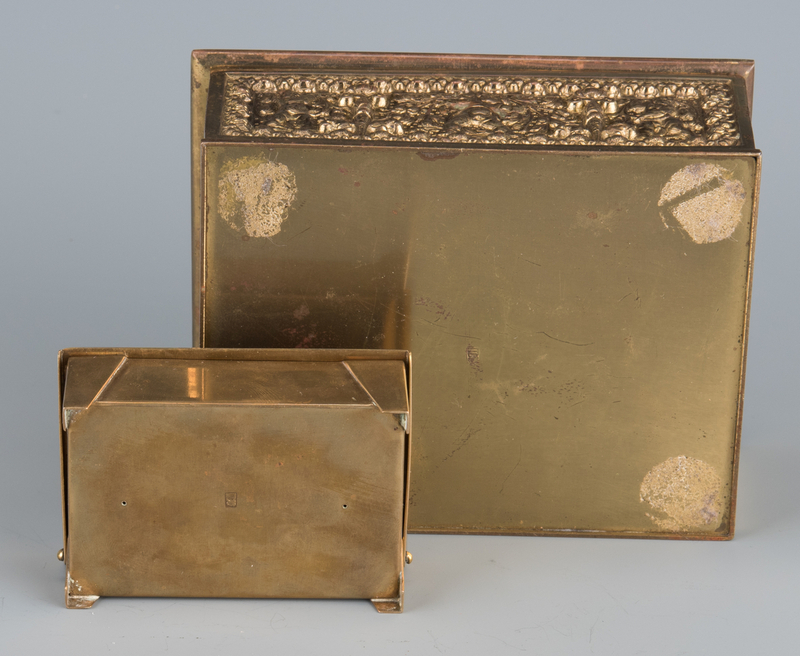 2nd item: some wear to gilding, particularly on top. 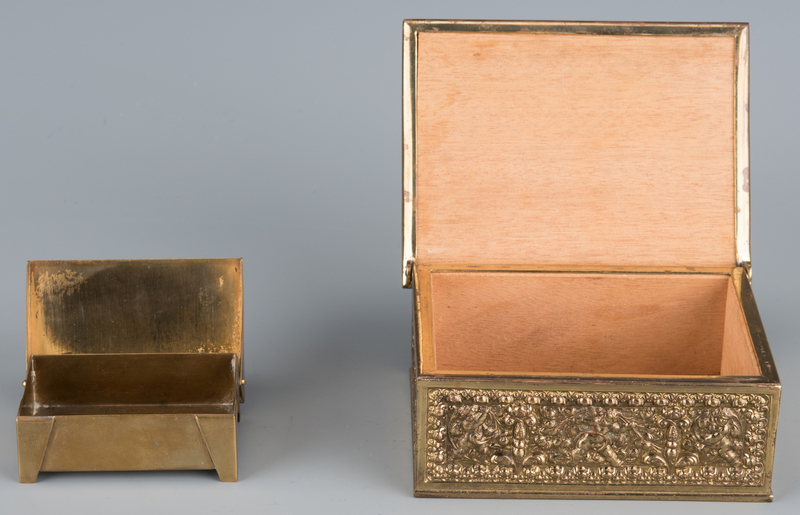 3rd item: excellent.